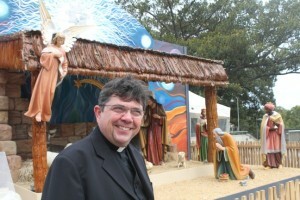 Catholic Migrant office calls for reflection on asylum policy during the Christmas season. The Australian Catholic Migrant and Refugee Office today urged both political parties to show moral leadership over the Christmas period with regard to policy debates on asylum seekers and refugees. Director of the ACMRO Fr Maurizio Pettenà CS expressed the view that people seeking asylum need to be processed in countries who are signatories to the UN Refugee Convention and who can assure them of the opportunity to rebuild their lives in dignity. “Richer countries like Australia have a moral duty to do more to help the world’s refugees who are mostly hosted by poorer nations” he said. At this time of Christmas, Fr Pettenà urged political and religious leaders and all people of good will to defend the human dignity of asylum seekers. “Once again the lives of asylum seekers have become a point of political contention. Christians should however see this issue instead as an opportunity to reflect on Christ coming in to the world and teaching us non-negotiable values: welcoming, protecting the little ones and the most vulnerable”, he said. “People’s lives are at risk not just on the high seas but in the very real and very dangerous situations in which they find themselves in armed conflict or subject to horrific exploitation”. “The Old Testament calls on us to treat the foreigner with love as though they were your own citizens. Jesus promises the Kingdom to those who welcome the stranger,” said Fr Pettenà. This entry was posted in Press Releases and tagged Asylum seekers, catholic bishops, Christ, Church, Fr Maurizio Pettena, Jesus Christ, offshore processing, Pastoral, refugees, The Body of Christ on December 23, 2011 by Mark Wei.